The Fuji X-T1 “Graphite Silver Edition” is leaked, luxury version with new firmware. Home / News / The Fuji X-T1 “Graphite Silver Edition” is leaked, luxury version with new firmware. To top off everything that was rumored until today, we received a new leak with another delicious novelty for the 10-S fujist: The Fuji X-T1 “Graphite Silver Edition” a silver and luxurious version of the classic X-T1 with some new surprise in its firmware. The news come from a good Japanese web source digicame-info, so we don’t doubt too much that this information will be confirmed soon officially. Generally, the “Special Editions” of cameras are, either exclusive design for collectors and people with means or with a developed sense of smell for investment, or fresh meat for the extremely stylish photographers. However, if it is confirmed, this Fuji X-T1 “Graphite Silver Edition” can be something more than an exclusive camera with an exquisite multilayer finish on the body and with some high end complements like a leather strap and an aluminum cover on the Flash adaptator. This “Graphite Silver Edition” has more surprises than the costly makeover. Overall, the most interesting feature will be the electronic shutter capable of reaching 1/32000 seconds speed, something that had already been commented previously about an update on the firmware of the Fuji X-T1. 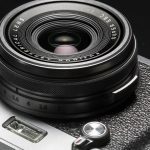 The other exclusive addition would be the incorporation of “Classic Chrome” movie simulation mode, a look Kodachrome style that was inaugurated by the Fuji X30. 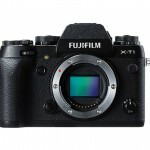 This last feature is a steady candidate to be included on the next firmware update for the Fuji X-T1 although, on the other side, it remains to be seen if the new electronic shutter will be an improvement on hardware or software and if it can finally be included on the original Fuji X-T1. According to fujist informants, the price of the new Fuji X-T1 “Graphite Silver Edition” will be 200 USD more expensive than the original X-T1 model. Next Sony DSC-RX100 III vs Canon G1X Mark II Comparison, Which is better?